These days, work doesn't end because you're away from the office — even if you're thousands of miles and a few time zones away. 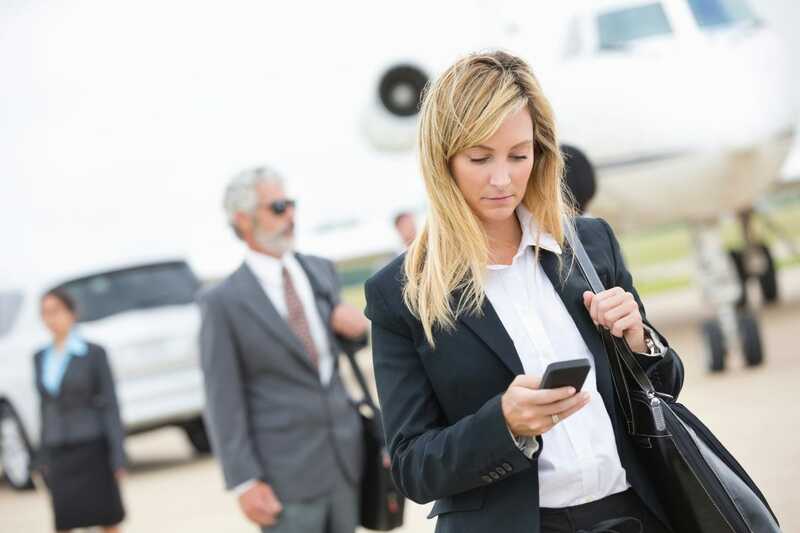 As business travel becomes more common for employees at all levels, it's important for people to stay connected with colleagues and be productive while they're on the road. Of course, if you have a smartphone, there are tons of apps out there that can help you manage work while away from home. Here are five that will help business travelers get as much done on the road as they could at the office. Expense reports are a necessary part of business, but they're so time consuming that most of us put off doing them as long as we can. Expensify helps with this by putting the ability to track mileage and time, as well as organize receipts, instantly at your fingertips. The SmartScan feature allows you to snap a photo of your receipt, and the app will do the rest of the work that's usually done manually, such as attaching the receipt to the related credit card expense. Even though you're away from the office on business, you still need to participate in meetings. The join.me app offers a virtual meeting space that lets you share files, brainstorm via the Mobile Whiteboard, and even hold audio conferences. The app's one-touch feature makes it really easy to start or access online meetings. Avoid traffic when leaving for your next meeting and get a reminder when you're supposed to reply to emails you've missed. With EasilyDo, you can also access your travel itineraries and automate tasks such as merging contacts. Many people end up traveling to the same cities for work so often that they become a home away from home. Using CityMaps2Go can make it feel even more like that. This app will help you navigate areas, save existing places (like your hotel or favorite restaurants), and add notes for future visits. Not every city has reliable and easy-to-find Wi-Fi, but it's essential for doing work if you're in between your "away" office space and your next destination. Use Wi-Fi Finder to locate the closest free and paid Wi-Fi hotspots near your current location so you can carry on like it's business as usual. Click here to download join.me for free now. This post is sponsored by join.me.